Wi-Tune, Tuner/Pitch Pipe/Tuning Fork from Korg. The new Wi-Tune Chromatic Tuner is designed to eliminate the need to swap cables or patch in and out of the tuner during performance. The Wi-Tune consists of two pieces: the transmitter module and the tuner itself. To use the Wi-Tune, the player attaches the clip-on transmitter module to their instrument and turns it on. 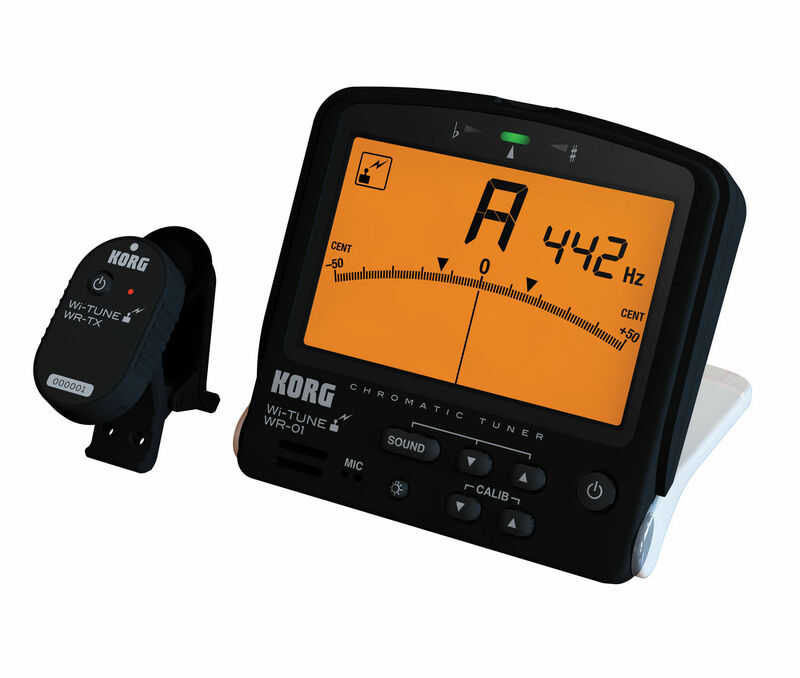 The Wi-Tune picks up the signal and displays the current tuning information in the large, backlit display. 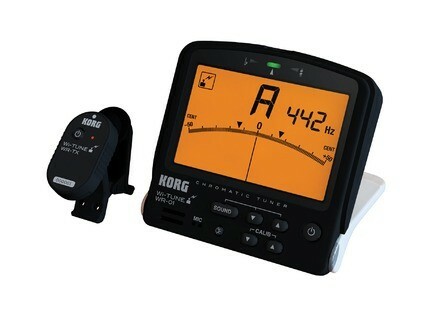 Users can place the tuner module anywhere, assuring visibility with no cable limitations. The Wi-Tune can also be used as a traditional tuner using the built-in microphone. In addition to visual tuning, it can generate reference tones for tuning by ear. Accurate to within ±1 cent, according to the company, the Wi-Tune offers a wide detection range from A0 (27.50Hz) to C8 (4186.01Hz). It also features a folding stand for easy-to-read visibility. The Wi-Tune carries an MSRP of $150.00 and is now available. Check out www.korg.com for more. [NAMM] Peavey Ecoustic Series Peavey announced the new the Ecoustic E110, E208 and E20 acoustic guitar amplifiers, a trio of two-channel amps with dedicated EQ on each channel and solid-state preamps. [NAMM] Peavey Butcher Peavey announced the new Butcher guitar amplifier, a 100-watt, all-tube head that specializes in “innovative versatility and timeless, brutal British tone,” according to the manufacturer. [NAMM] Guild D55 Made in USA Guild manufacturers of guitars are demoing their Made in USA version of the D55.